These are the shearling-lined calfskin-leather moccasins inspired by classic driving-style loafers. The handcrafted moccasins have pronounced rubber treads on extended split rubber soles that wrap around the heels for reliable traction during accelerating, braking, and clutching. 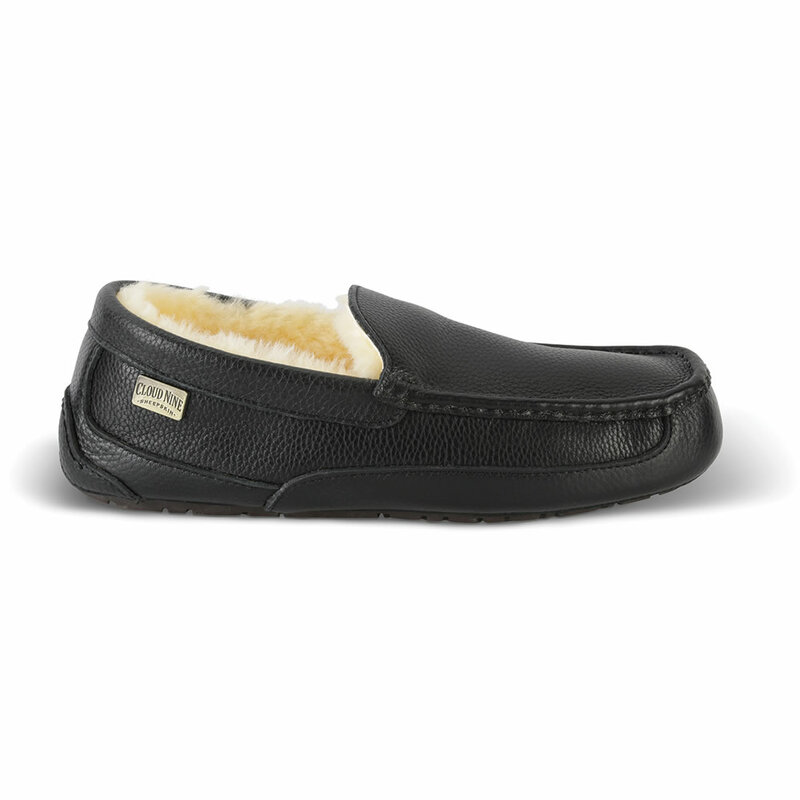 Ideal for use in the winter or summer, the moccasin’s shearling-lined interiors cradle the feet in comfort and help wick away moisture. The cushioned EVA footbeds relieve pressure points and distribute impact evenly across the foot, enabling use as one’s primary casual shoe. The soft leather lining envelopes the feet for a custom, molded fit while the strength of the hide holds up to years of driving and walking. Black. Men’s whole sizes 9-13. 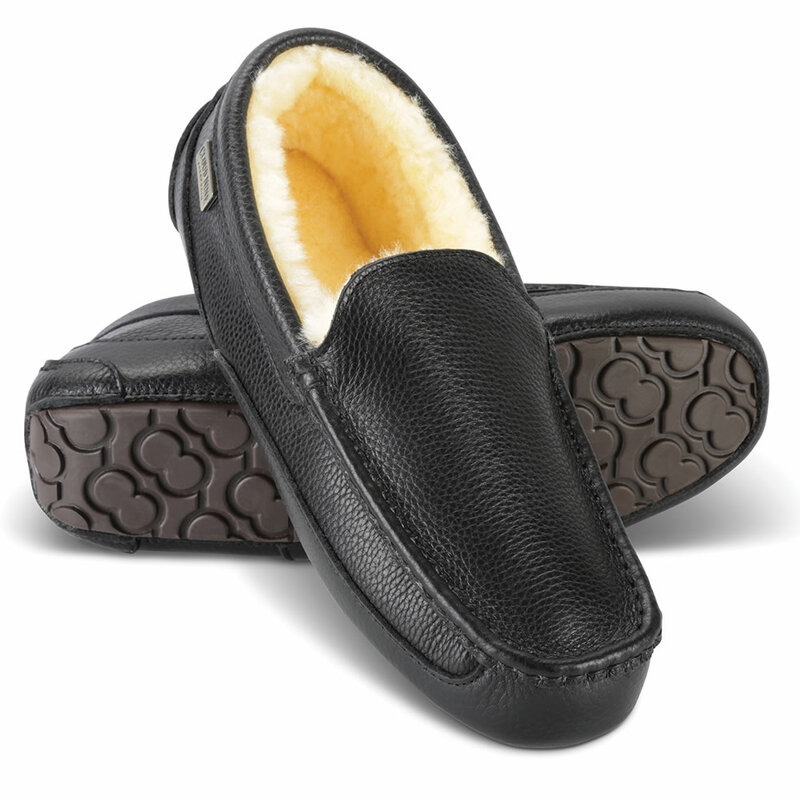 The Gentleman's Shearling Driving Moccasins come with The Hammacher Schlemmer Lifetime Guarantee. Items that we sell are guaranteed for their normal life under standard non-commercial use.